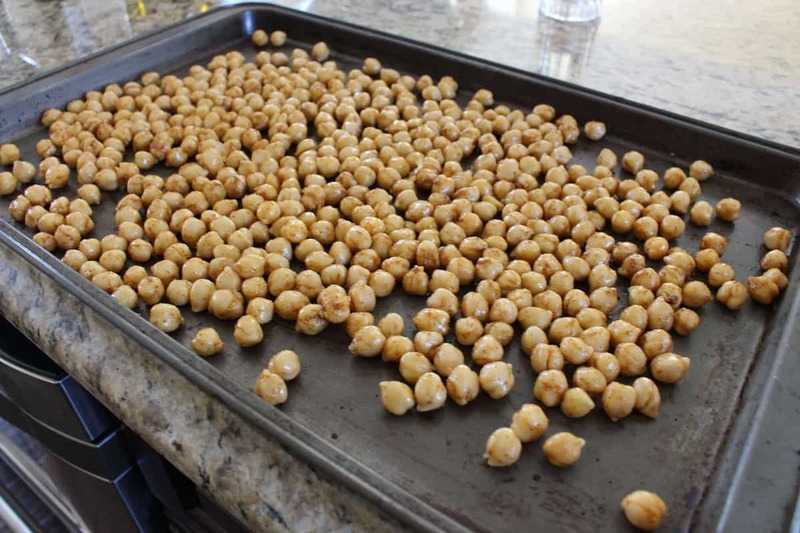 I made my first attempt at roasted chickpeas a few months back, and I have to say, I am hooked!!! 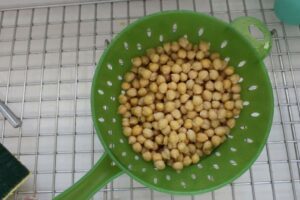 This being said from the girl who hates chickpeas. 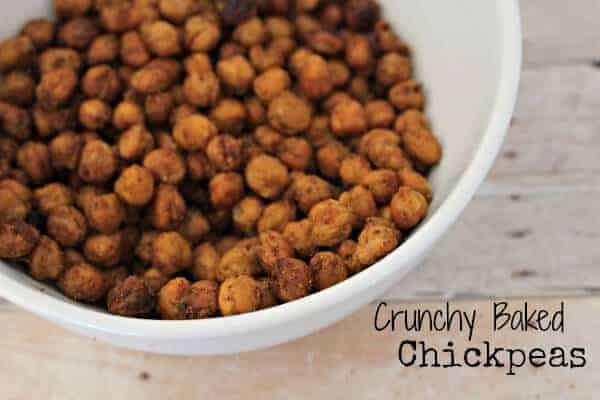 They are a surprisingly satisfying treat when you are looking for a crunchy snack! Now that I have perfected the how to, it was time to do something a little more interesting!! 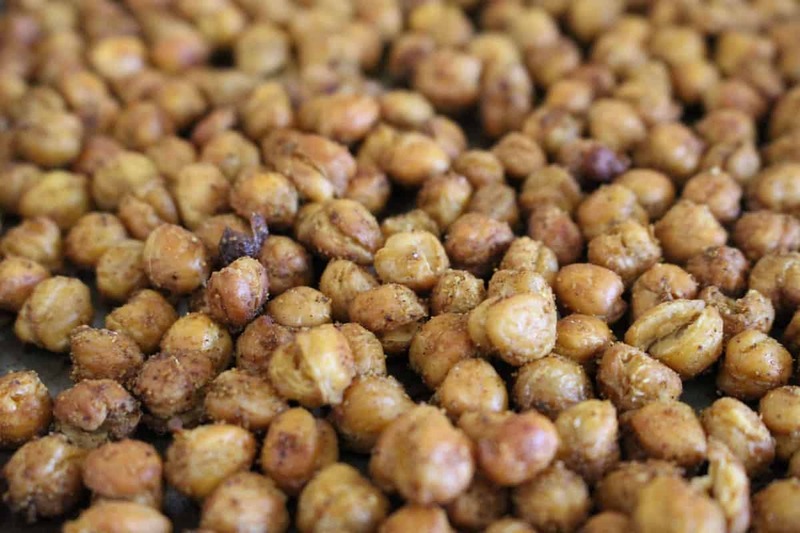 I love sweet and spicy…. 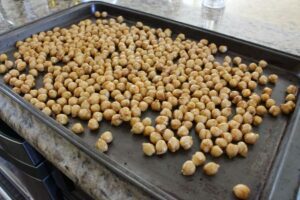 so when my sister, Julie, was in town, we decided to try to come up with a recipe for the roasted chickpeas that would satisfy that craving! AND BOY DID WE EVER!!!! 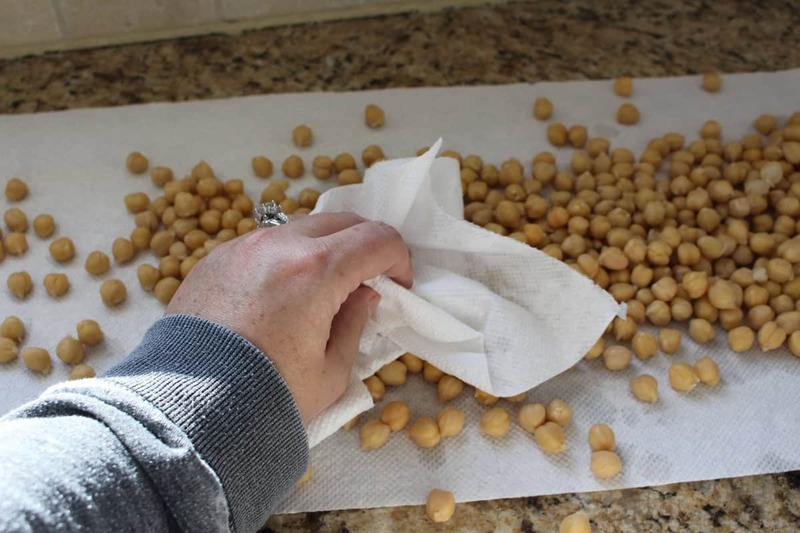 Julie is a wiz in the kitchen…. she started whipping stuff out of my pantry and voila – a sweet and savory chickpea recipe was born!!! This cannot be missed!! 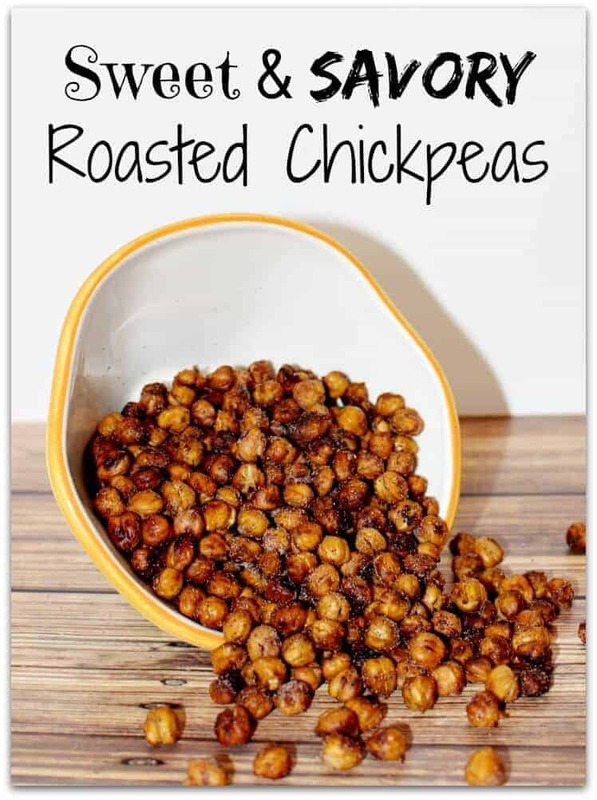 LOVE roasted chickpeas? 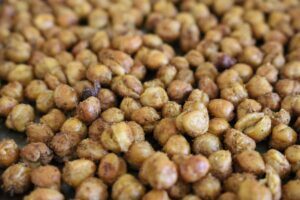 Do you like SPICY roasted chickpeas – check out these Crunchy Spicy Chickpeas that started me on this new obsession!!!! Fun Backyard Ideas – these DIY ideas will make summertime a blast for you and your family! 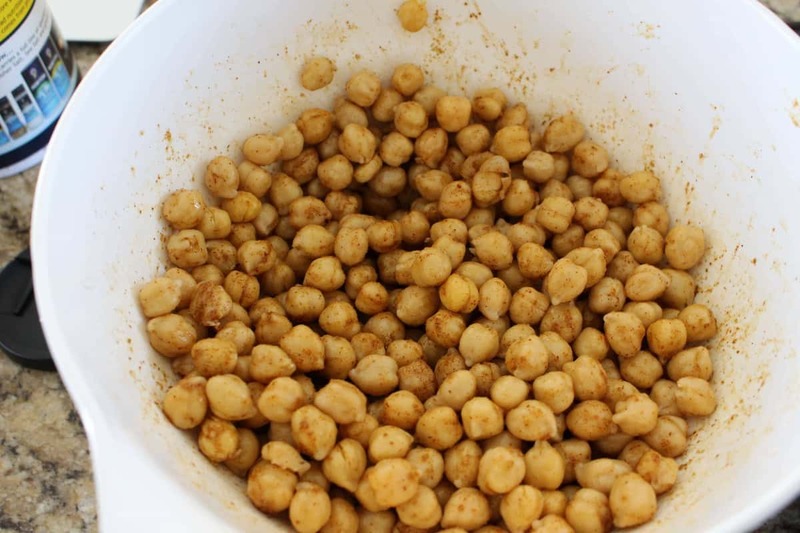 I love chickpeas. 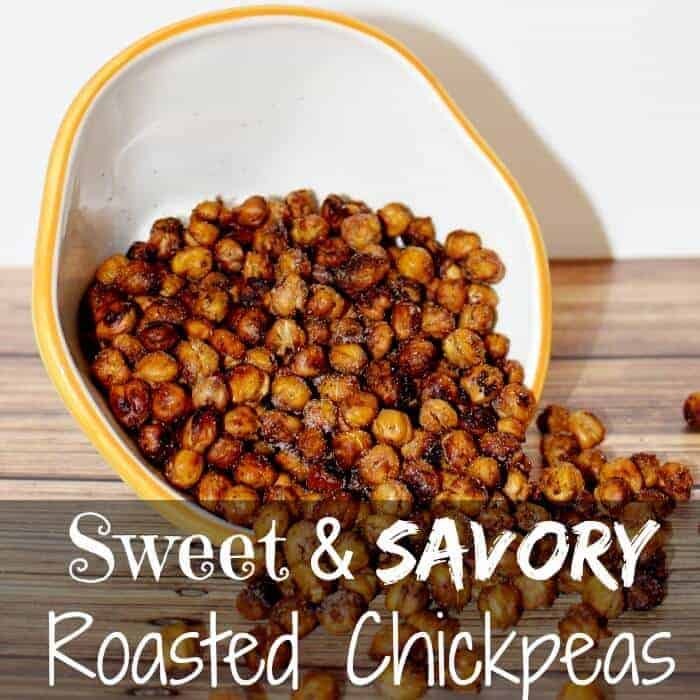 This is an awesome recipe combing the sweet and savory flavors. Wow!! I would never think to use hot chocolate! What a great idea! Coming from Pin It Thursday! Never mind, it finally opened when I clicked! I KNOW JUDEE – right!!! 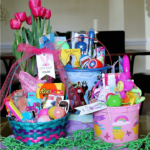 We were brainstorming and thought…. why not try it!! AND it was great!!!!!! Thanks for stopping by!! 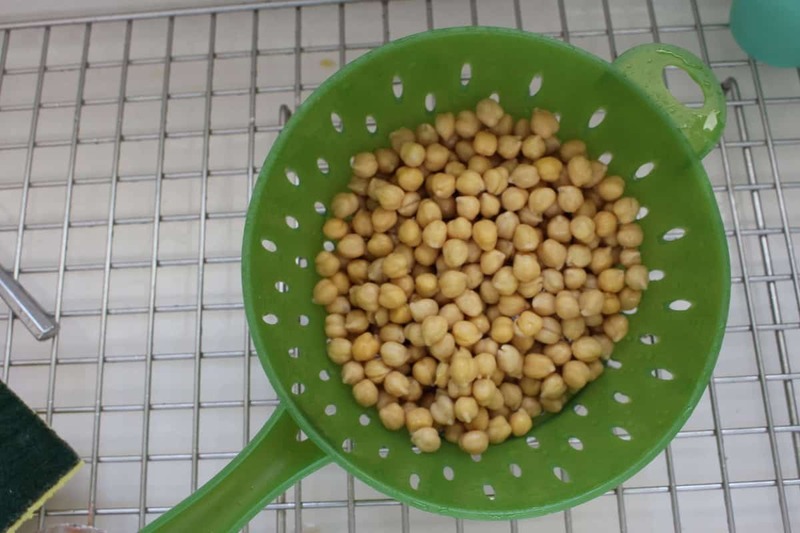 Can you just use cocoa powder? Thanks so much, Sarah!!! Appreciate you stopping by!